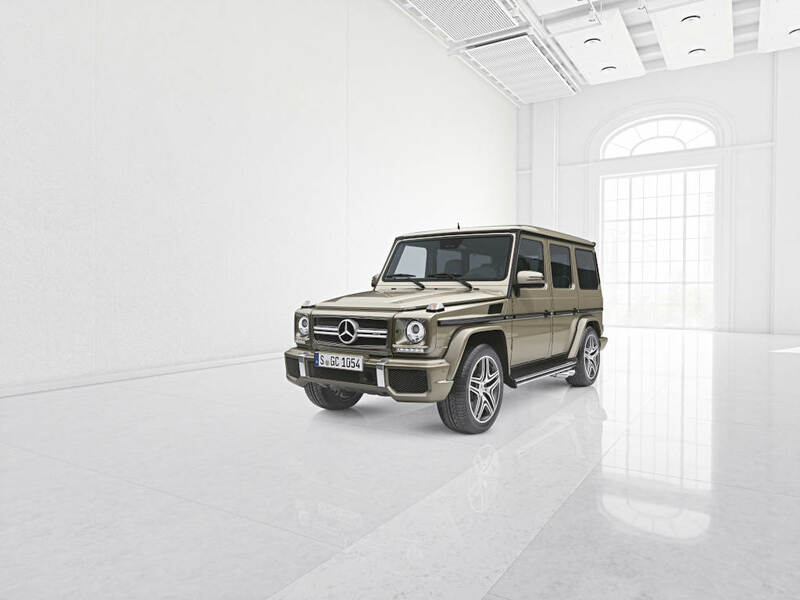 The Mercedes-Benz G-Class has been writing an incomparable success story since 1979. “designo manufaktur” is now making the classic cross-country vehicle even more individual ex factory. Customers can now tailor the off-road icon to their personal style. 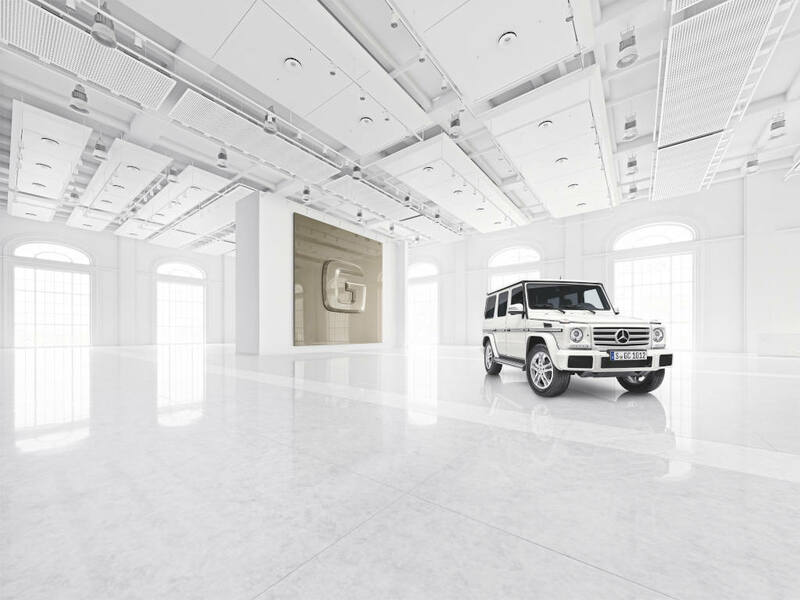 The name says it all: “designo manufaktur” captures customers’ imagination with individual equipment and appointments features, traditional craftsmanship and the highest quality. 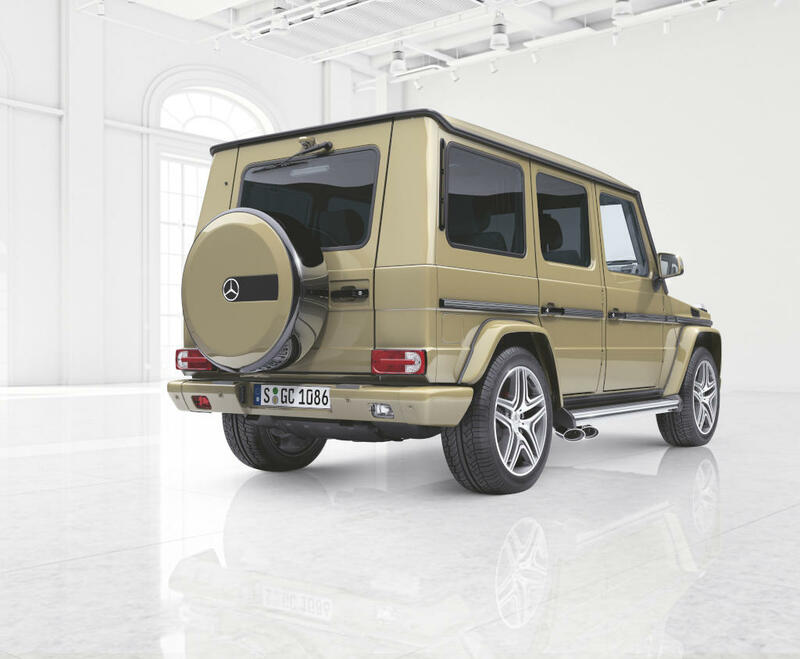 The new individualisation programme fulfils the wishes of numerous G-Class customers for their own personal, tailor-made cross-country vehicle. “designo manufaktur” offers exclusive, unique colour and material compositions inside and out. With a host of combination options, the off-roader develops its very special character and unmistakable style. 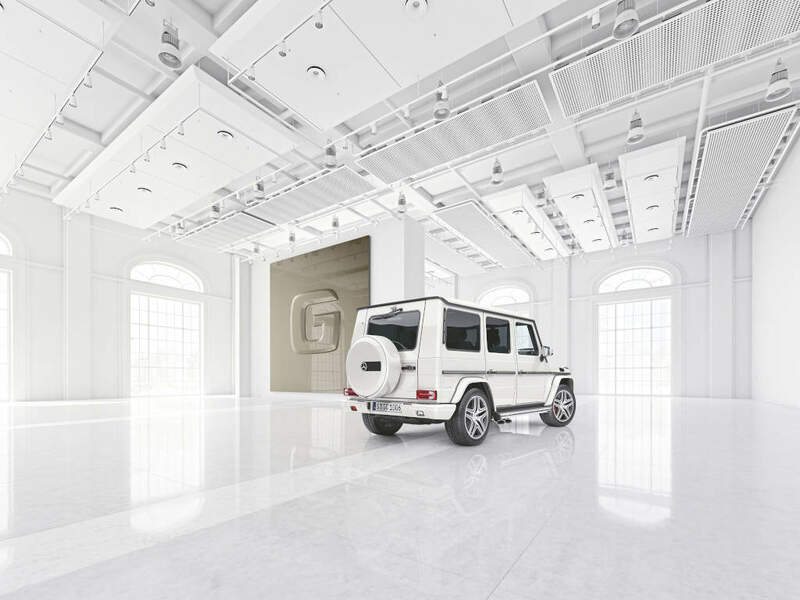 The Manufaktur hand-finishing section, which turns a G-Class into a unique “G”, is located in Graz. Be it exterior or interior, topstitching or model badge, virtually every detail is lovingly crafted by hand. Here unique specimens that meet the most discerning requirements for quality and exclusivity are created with dedication, passion and artisanal perfection. 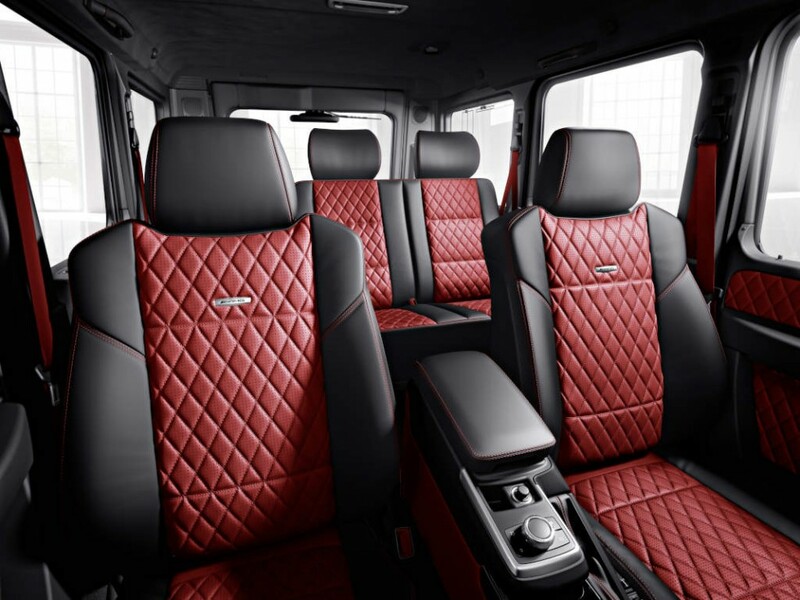 Showing one’s colours – for G-Class customers a question of personal taste. The classic cross-country vehicle is now available in an even wider range of colours. The extended options range from eye-catching non-metallic paint finish such as fire opal, the metallic finish designo mauritius blue metallic, to the matt finishes designo allanite grey magno and designo yellow olive magno. 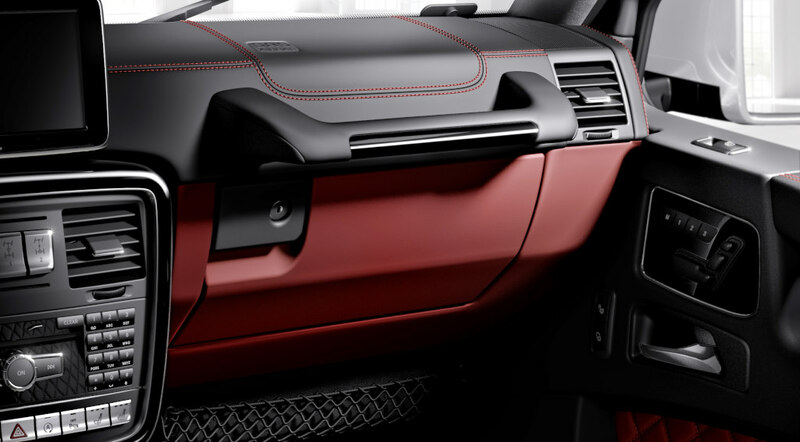 Off-road fans will also be able to create their own style with a roof painted in obsidian black. In line with the spirit of the times, customers can also choose from an extended line-up of light-alloy wheels painted in black. A perfect addition comes in the shape of various inlays for the exterior side rub strips. They are available for the AMG models in carbon fibre look, and in black for the other variants. The overall look is rounded off with the stainless steel ring for the spare wheel cover. It can either be painted in black or in the body color. The Night package, which is familiar from many passenger car models and very popular among customers, is now also available for the G-Class. 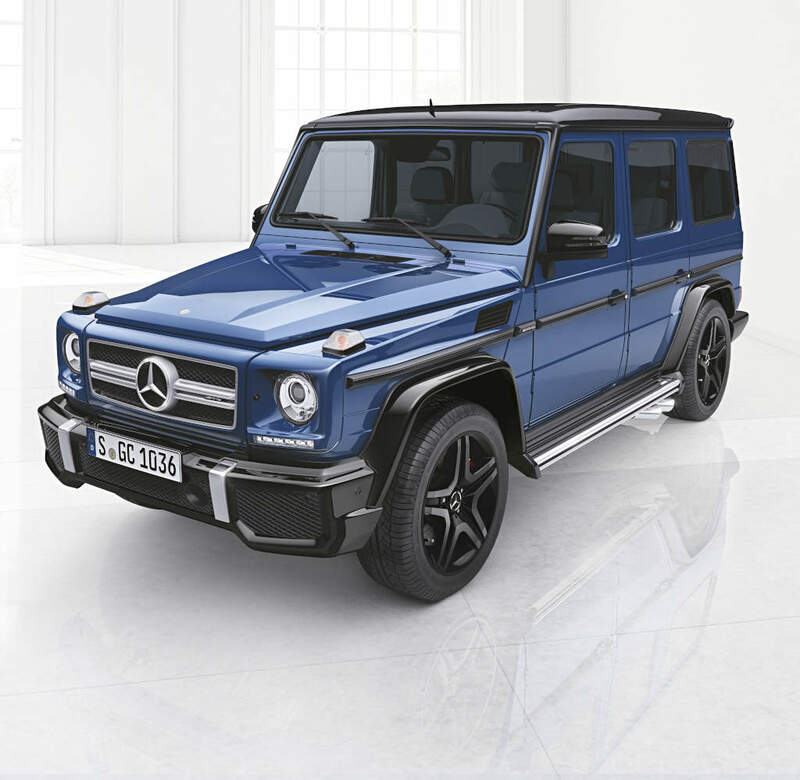 With striking design features in black, the Night package underscores the expressive character of the G‑Class. 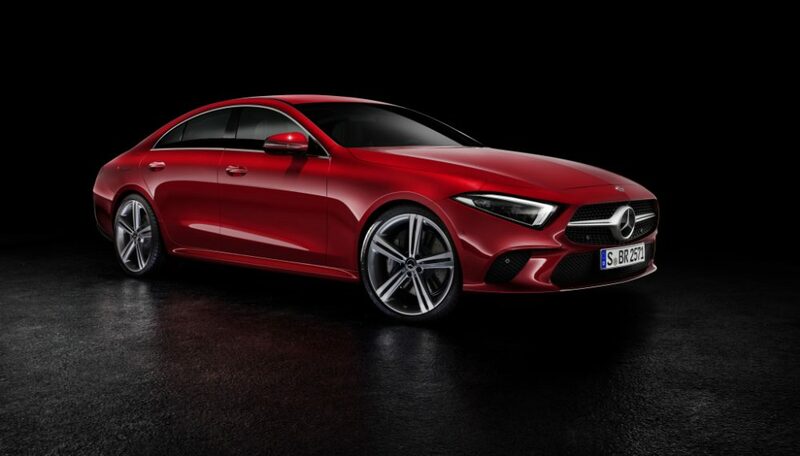 Exterior mirror housings, flared wheel arches, bumpers and the roof are finished in obsidian black metallic, the inlays on the exterior side rub strip and the light-alloy wheels are painted in black. The Night package is supplemented by heat-insulating, dark-tinted glass from the B-pillar. 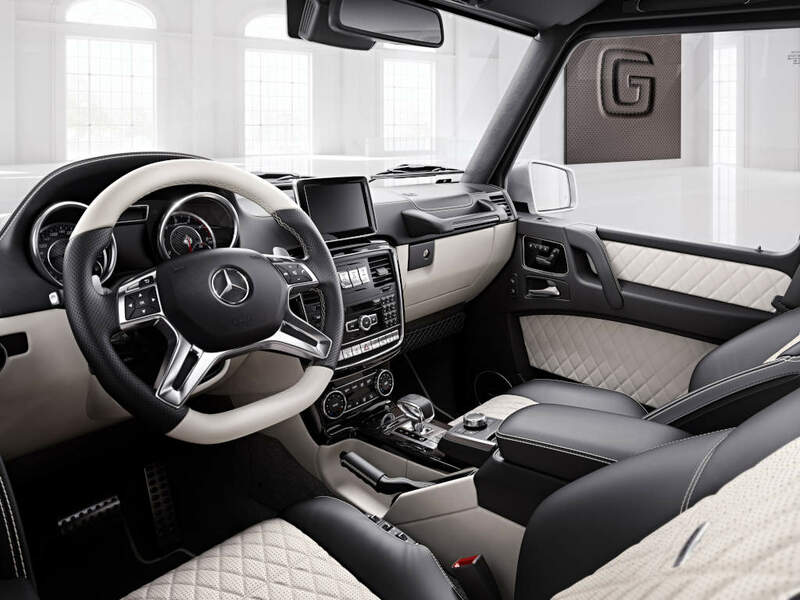 Exclusively for the Mercedes-AMG G 63 and G 65 models, “designo manufaktur” offers an even sportier touch with the DINAMICA Interior package. 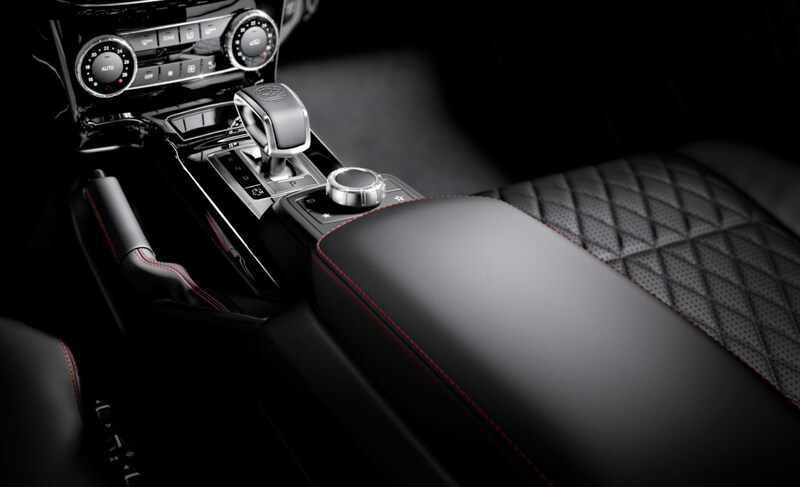 This includes the AMG performance steering wheel in black nappa leather, with the grip area trimmed in DINAMICA microfibre, as well as the seat and door centre panels along with the roof liner, seats, head restraints, dashboard, door handles, armrest and handbrake with white topstitching.